Wellesley here, David is embarking on a life changing project and needs our help. Although it is fiction it is inspired by his own story, his family history in Jamaica. Please help him if you can. Below is his idea. I am asking people to support an important project. I am not asking for money - just two minutes. Recently I entered an international film pitch competition called "Enter The Pitch." My pitch is called "Alligator Pond." Although it is fiction it is inspired by a true story. It is about a man who discovers the truth about his family's past. He locates the old abandoned family cemetery located in Alligator Pond, Jamaica and manages to persuade a local to go there and take pictures and film it. At that site a strange artifact, and old chain, is discovered and sent back to him. There is also an old inscription "There the wicked cease from troubling; and there the weary be at rest." The man focuses on that chain, as well as that verse from from Job 3:17 (The Lament of Job) to such an extent that he ignores his job, his life, and even reality itself. If my pitch wins I will get a budget to produce the film, and would also be flown to Hollywood to meet a director. Your help would be greatly appreciated. Also spreading the word would help a lot too. 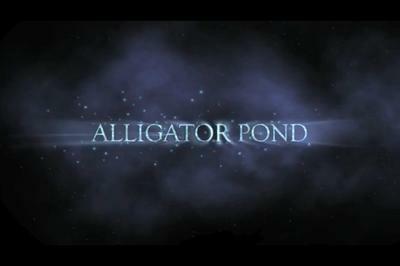 So please watch my two minute video and vote for my film pitch "Alligator Pond" at The Pitch (http://www.enterthepitch.com/view/alligator-pond/ ) and follow @AlligatorPond1 on twitter. Also when you are there please click the link to share with friends via Facebook and Twitter! That would also help a lot because it would give me an idea of how many people have voted. Please vote as soon as possible because voting is open now and the voting period is short! Thanks! I first became aware of the little known facets of Jamaican history surrounding Alligator Pond area in 1950. My father would sometimes take the Plowden Hill route via Rowes Corners back up to Mandeville to avoid the long climb up the Spur Tree route. I often wondered who the early settlers were who left signs of their passing in old stone foundations and coffee drying barbecues. One early map of Jamaica showed a colonel Parker farming land in the area in the 1600's after serving with Penn and Venables. The existence of the old cemetery and its connection to a family in the twenty first century is intriguing. Very interesting clip I must say. I've fwwd it. Thank you for announcing Wellesley! I invite everyone to "Like" my Facebook page after voting! Pop by and post a comment!! !